Founded in 1992 by Francisco Carnerero, today continued by a new generation, EMFACAR (Empresa familiar Carnerero) focuses its activities on the preparation of seafood and aquaculture products. It is strongly committed to product quality and consumer satisfaction. 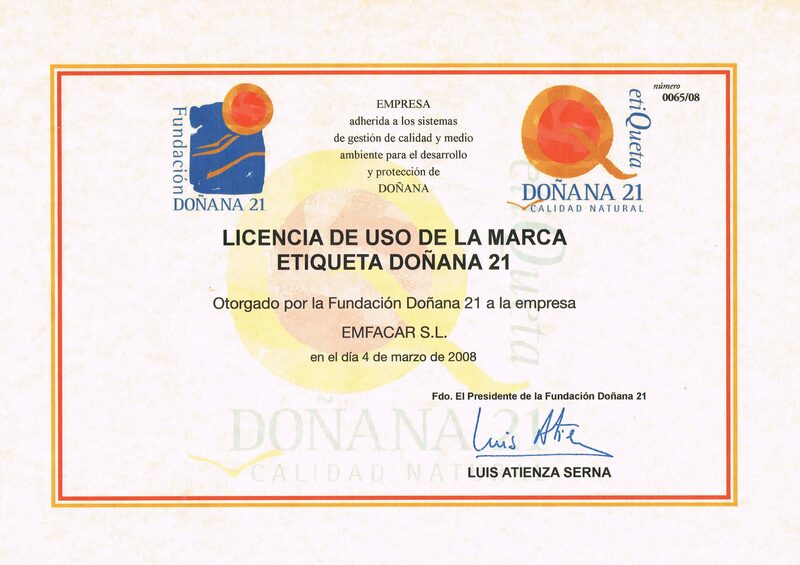 Strict control of the entire production process, along with the involvement of all staff, show that the company always strives to bring the best of Doñana to your table. Now that we have been on the market for over 25 years, our products feature in a large number of homes and restaurants, both in Spain and overseas, who appreciate our careful selection of ingredients and production based on traditional recipes. Our international outlook and a firm commitment to innovation has been given a boost by the extension and improvement of our facilities, allowing us to add new product ranges and continue our commercial expansion process.